Browsing 69 products priced $15 - $20. Before Larry Bird, Oscar Robinson, or high-priced sneaker advertisements, the forefathers of professional basketball in Indiana forged a remarkable legacy as unlikely and magical as a last-second shot that spells a championship. A 1993 Emmy nominee for “best documentary,” Pioneers of the Hardwood tells the colorful story of raucous fans, local heroes and round ball legends who cultivated the unrefined world of professional basketball into a multi-million dollar industry known as today’s NBA. 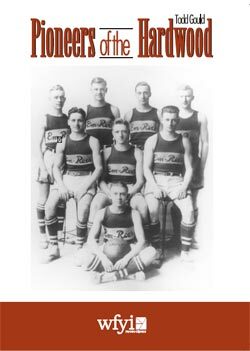 Pioneers of the Hardwood explores the growth of professional basketball in Indiana during the rough-and-tumble barnstorming days, when teams played for nickels simply because they loved the game. Interviews include former All-Americans John Wooden and Ralph Bears, as well as former coaches, players, broadcasters and fans who round out an all-star television line-up. 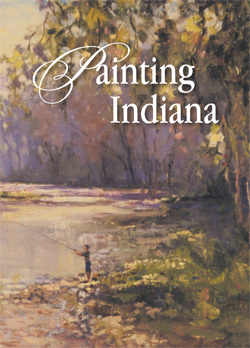 Behind the scenes journey of five pleinaire painters as they attempt to capture the natural beauty of all 92 counties in Indiana. 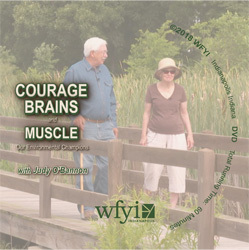 Former First Lady Judy O’Bannon travels the state in search of environmental champions, discovering creative individuals who are successfully improving sustainability and reducing pollution in Indiana. 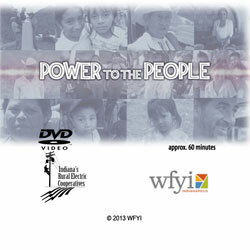 In the summer of 2012, 32 Hoosier volunteers, including 28 rural electric linemen, traveled to a remote mountain area of Guatemala. Their mission: to bring electricity to three villages located in beautiful, but treacherous terrain near the Mexican border. The Indiana Statewide Association of Rural Electric Cooperatives organized the largest volunteer contingent ever to participate in a decades-long initiative by the NRECA International Foundation help developing countries connect their citizens to the power grid. America is at a crossroad. Confronted with new global conflicts and shifting political and economic fortunes, many in the United States are questioning if American values are still relevant in today's globalized, high-tech world. 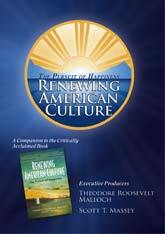 But there are others who are leading a transformation in American culture. 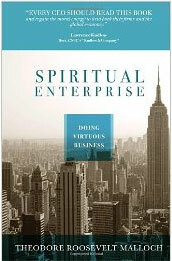 They are pioneers who are generating a sense of community, as well as a resurgence of American virtues. Renewing American Culture: The Pursuit of Happiness is a locally-produced one-hour special that looks at how innovative leaders are connecting the notions of commerce and community to unleash prosperity in America and throughout the world. 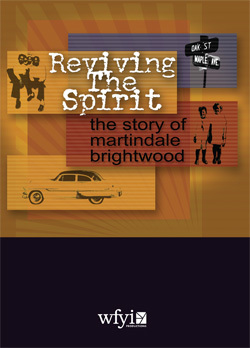 Reviving the Spirit: The Story of Martindale-Brightwood illuminates the rich history of this northeast side neighborhood and captures the determination of today’s residents to maintain the pride and stability that have long been the hallmarks of their community. In recent years, Martindale-Brightwood residents have rallied together and developed a new vision for their community — a plan designed to help children, lower crime, improve incomes and revitalize housing. The role of homemaker is one of the most valuable, yet frequently least valued positions in American society. Rich Lives explores the world of 20th century homemakers, in a stage presentation by Rita Kohn based upon an oral history compiled by Eleanor Arnold. Arnold crafted Voices of American Homemakers from interviews with more than 200 women in the mid-20th century. The women interviewed shared their experiences, values and deep feelings about their lives and the changing world they were living. They revealed homemaking as a universal experience distinguished from housekeeping by the caring and love with which it’s done. 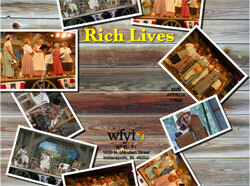 This initial staging of Rich Lives was presented at the Indiana State Fair Pioneer Village Opry House in 2010. 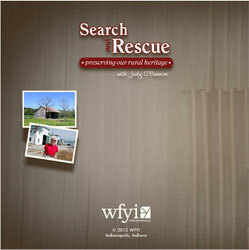 Search and Rescue Preserving Indiana's Rural Heritage explores the preservation of artifacts from the environment of prehistoric times, actual techniques in practice in the adaptive reuse of rural buildings today, and the strengths of community in rural life. From the restoration of log barns, to transportation by canal, to antique agricultural practices at the Indiana State Fair's Pioneer Village, we meet the folks that find satisfaction and inspiration in exploring and preserving our rural heritage. 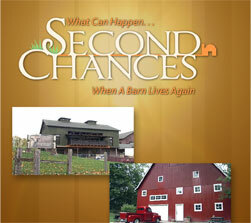 The landscape of rural Indiana is punctuated by hundreds, maybe thousands, of old wooden barns. Each of these barns has a story to tell. It begins long agoin an ancient forest, where virgin timber was cut by hand, then shapedintomassive wooden beams. The story continues as those beams are lifted into place, and the barn begins to serve its noble purpose.